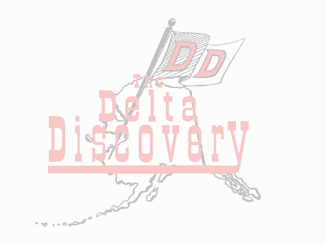 Delta Fishin’ Report Archives - The Delta Discovery, Inc. This large Yukon Whitefish is almost as big as Louisa Nickoli of Russian Mission. The fish was caught and photographed with Louisa on June 3rd, 2018. Kiarrnguacuk Mary K. Anthony with her filet of red salmon. She is getting ready to smoke her fish at the Umkumiut fish camp. This photo was taken on July 4th, 2018 by Isidore Anthony. Elizamarie John, the daughter of Bernie and Alice John of Kipnuk, helps with cutting herring. Photo taken on June 4, 2018. 6 year old Dallas David from Kongiganak is very excited to have caught his very first halibut on June 7th, 2018 while deep sea fishing with his dad. Baby Rainier Iyana Leary happily watches his mom Audrey cut salmon by the Kuskokwim River in Napaimute on July 2nd.